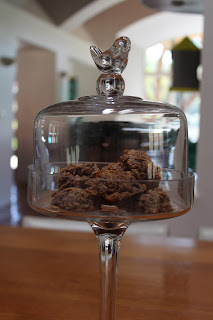 This afternoon, I wanted a cookie or something sweet to go with my cup of hibiscus tea, but the cupboard was bare! And my hubby had already made my tea so it had to be fast! What could I do? until they come together. If it is too dry (depends on how dry your dried fruit is) add a little more lemon juice. The "dough" should start to go in one clump around the food processor, but it takes a couple of minutes. 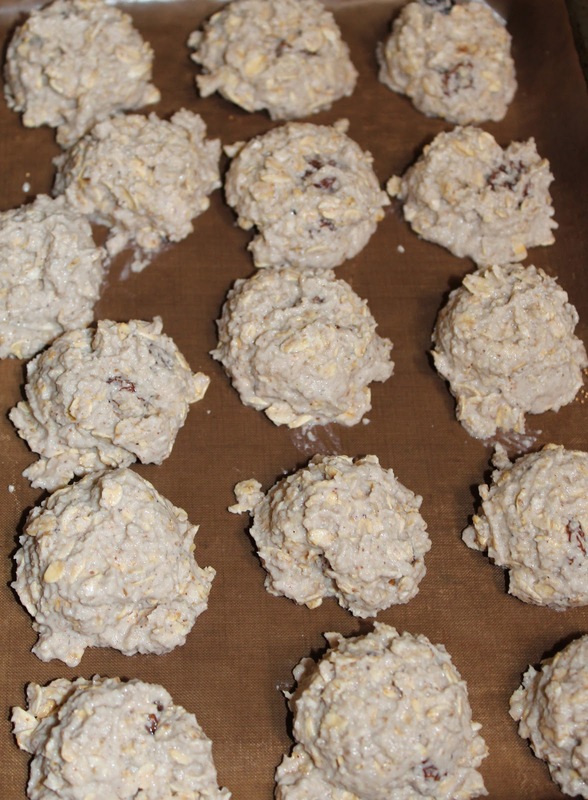 Press the dough into a parchment lined square baking tin or roll into small balls. Chill to firm up either in the fridge or if you are in a hurry like me, just a few minutes in the freezer! Cut into 12 bars or eat as fruit balls. My adjustments: I didn't quite have enough almonds so I used just over a cup of almond flour and made up the rest with Chestnut flour. I didn't quite have enough apricots either, so about 1/4 cup was prunes. The coconut I had was the wide sliced, flaked, not finely shredded. The lemon juice was actually lemon juice!!! Next time, I'm going to try hemp seeds instead of the coconut. Its good to use unsulfured dried apricots, as although they aren't quite as pretty as they are brown instead of orange, sulfites can cause adverse reactions in 1out of 100 people. This can be particularly serious in people with asthma. In a recipe like this, you don't even miss the orange color, so purchase organic dried apricots and they won't have any sulphites in them. A quick sweet bite that is very satisfying and you don't need too much.